You will feel like such a country girl in this apron! This Apron can be ordered in either a half, or a full version. It has 2 pockets, a ruffle on the bottom, and a bow in front! 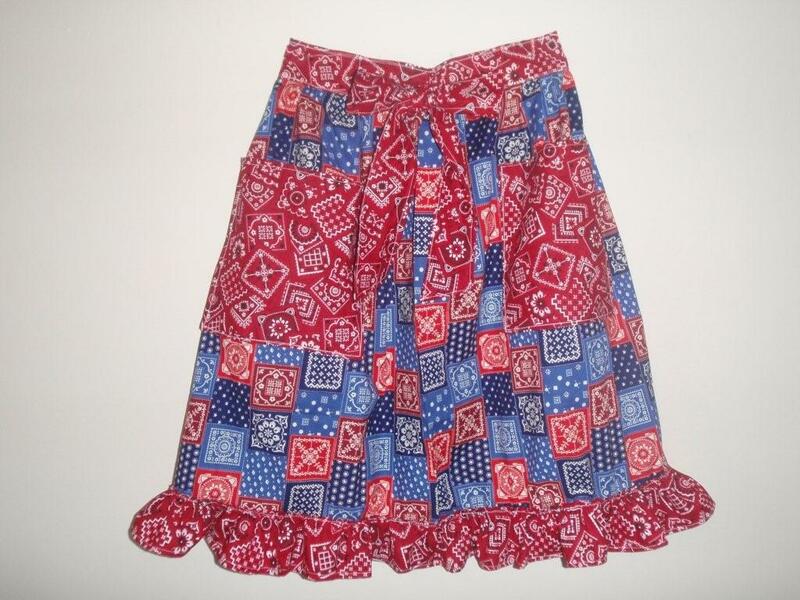 It is made out of red and blue bandanna fabric. One size fits all but if you need smaller than, or larger than average, just send along your waist measurement in the comments section.